The doctor is specialized in personalized medicine through targeted treatment. Through knowledge of the unique molecular characteristics of each tumor we have the opportunity to choose a targeted treatment, which is more effective and of course has fewer side effects than classic chemotherapy regimens. Moreover, this treatment is often in tablet form, can be taken by mouth, which ensures a better quality of life for tumor patients. 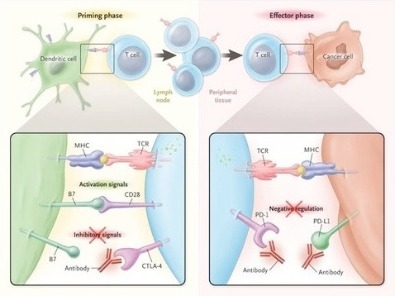 Furthermore, during the last 5 years there has been a major evolution in the field of cancer immunotherapy, which has brought revolutionary results of long-term survival and fewer side effects in many cancer types, including lung cancer. Dr. Vergoulidou-Stylianides has taken active part in developing these treatment methods in clinical trials (phase 1) during her residency at Charite university hospital. At her recent position as a senior consultant she has applied more than 100 cancer immunotherapy treatments.